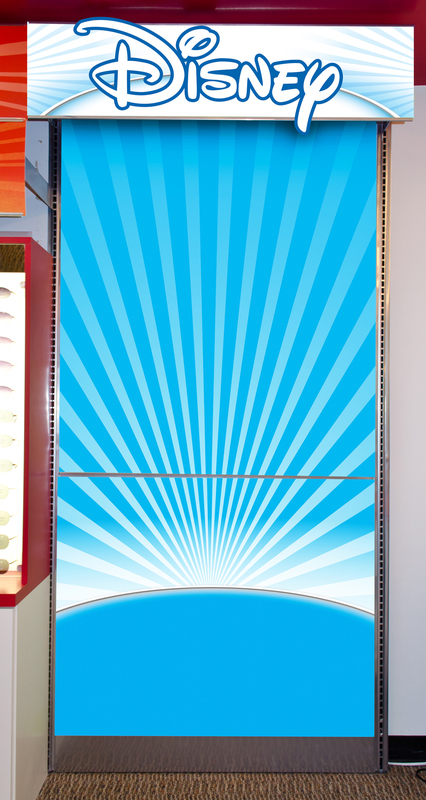 Created new Disney header and panel graphics for Del Sol Color Change stores. Worked with Design team and licensed division to create new store graphics for Disney licensed goods within Del Sol Color Change stores worldwide. Created dimensional header graphic with multiple layers for depth and texture. Created back panel to show off Disney apparel and give it a pop of color.